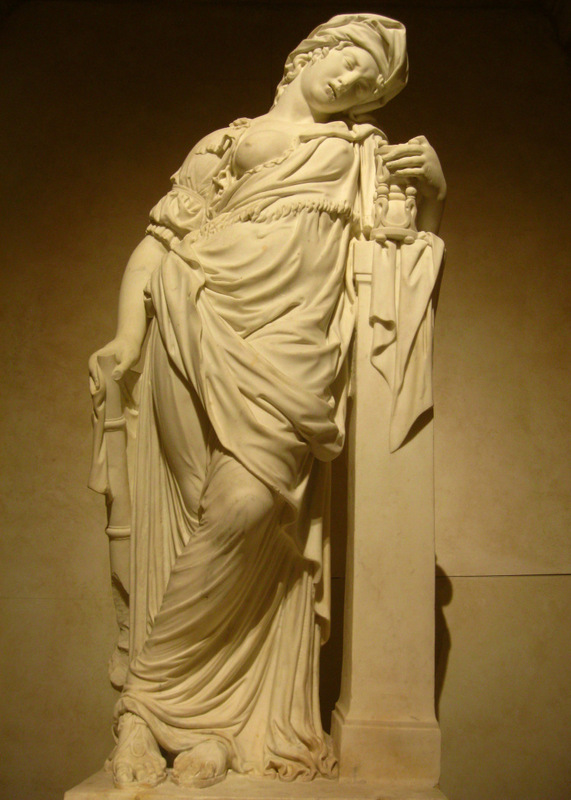 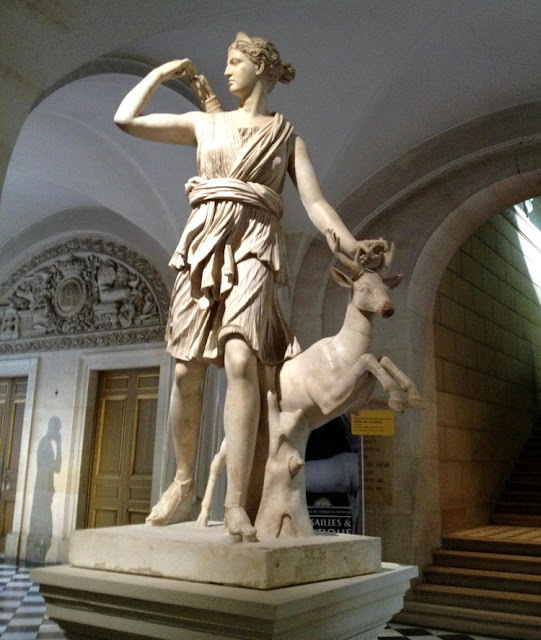 In this statue the goddess does not appear as a huntress, but rather as the protectress of a wild animal. She is conceived as having just come to the rescue of a hunted deer, and is in the act of turning with angry mien on the pursuers. 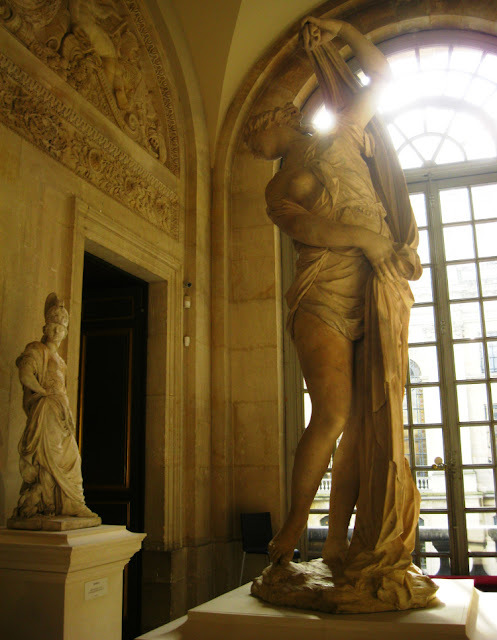 With her right hand she grasps an arrow from the quiver that hangs at her back, and in her left she holds the bow. 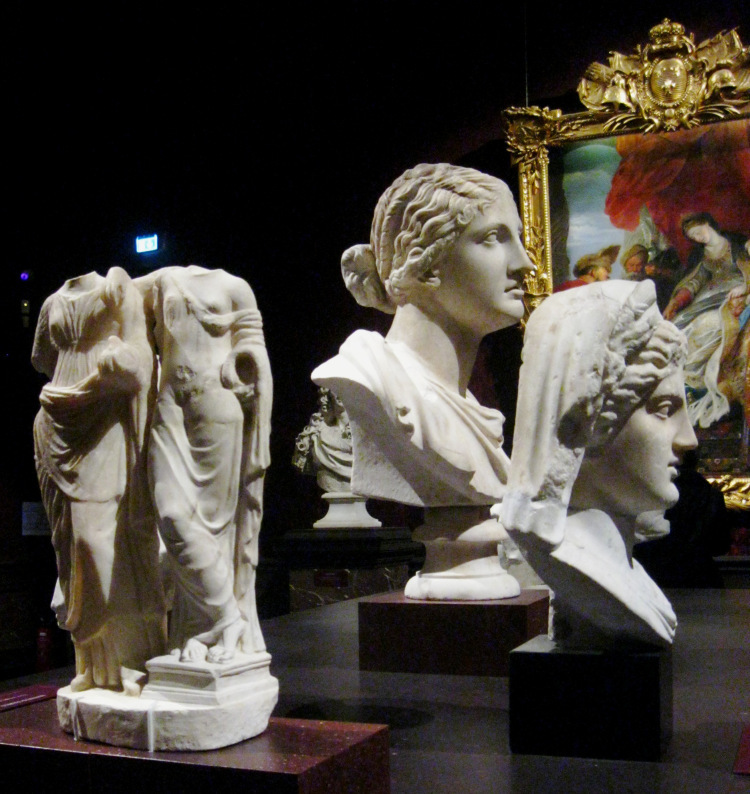 Versailles and Antiquity presents the relationship between the palace and Greek and Roman mythology and history, bringing together over 200 works of art. 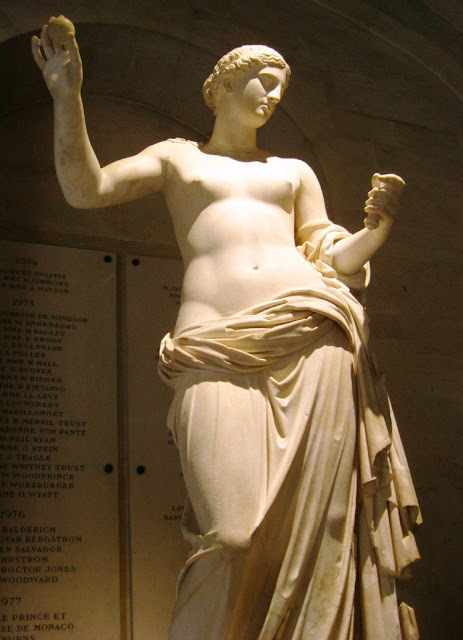 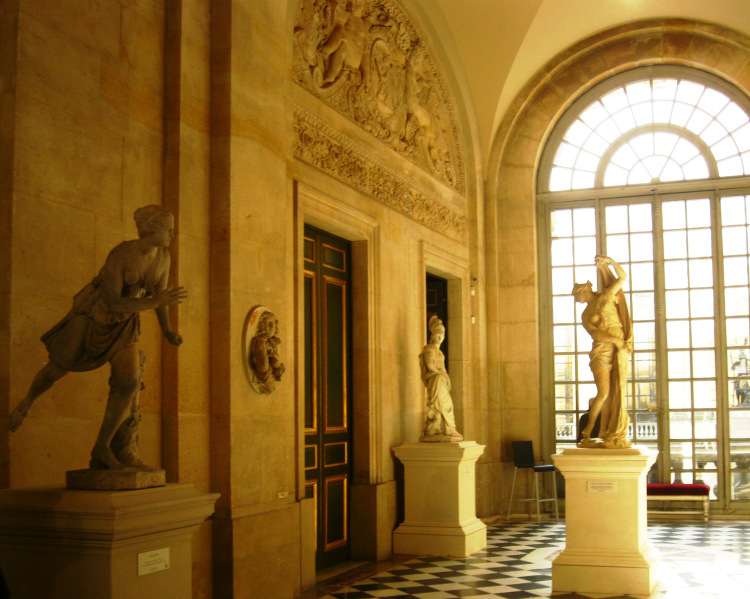 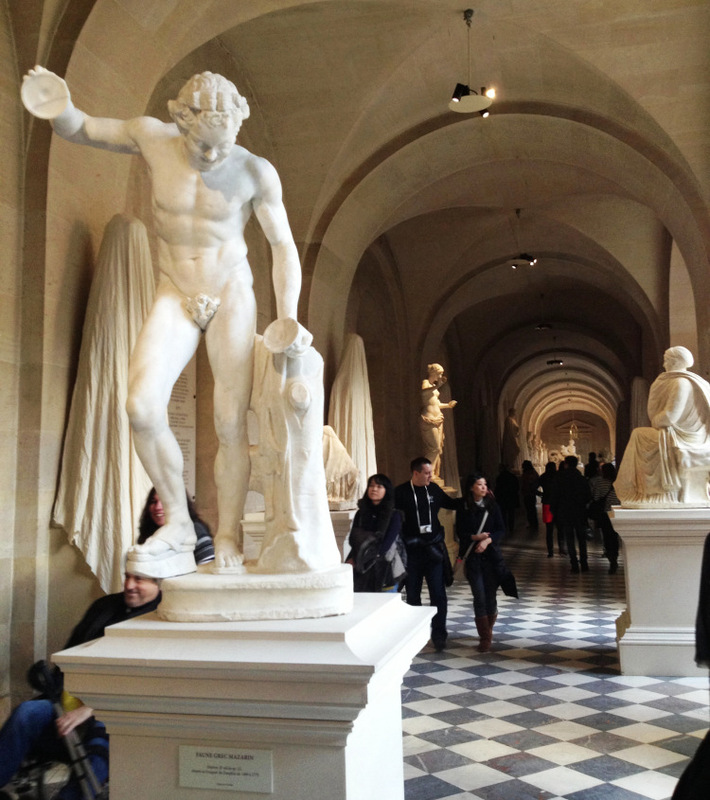 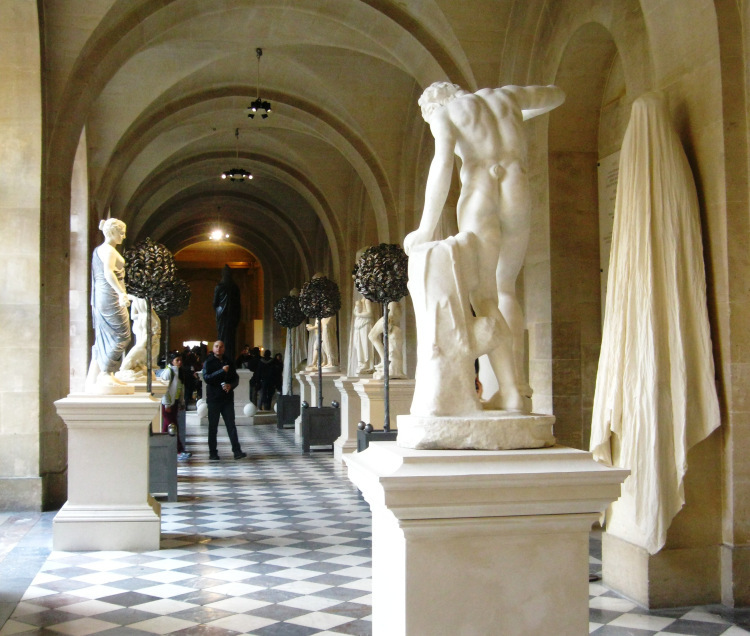 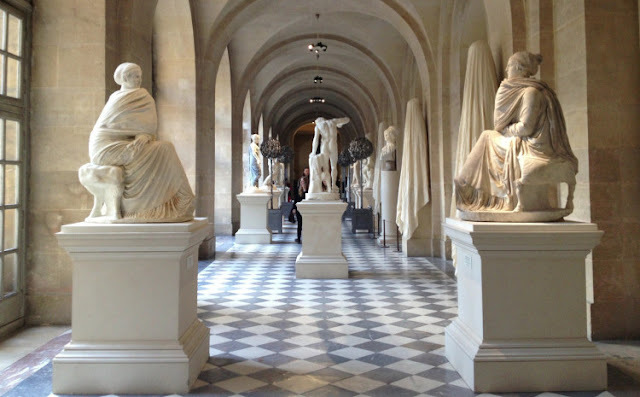 The antique sculpture Diana of Versailles was installed by Louis XIV in the Hall of Mirrors. 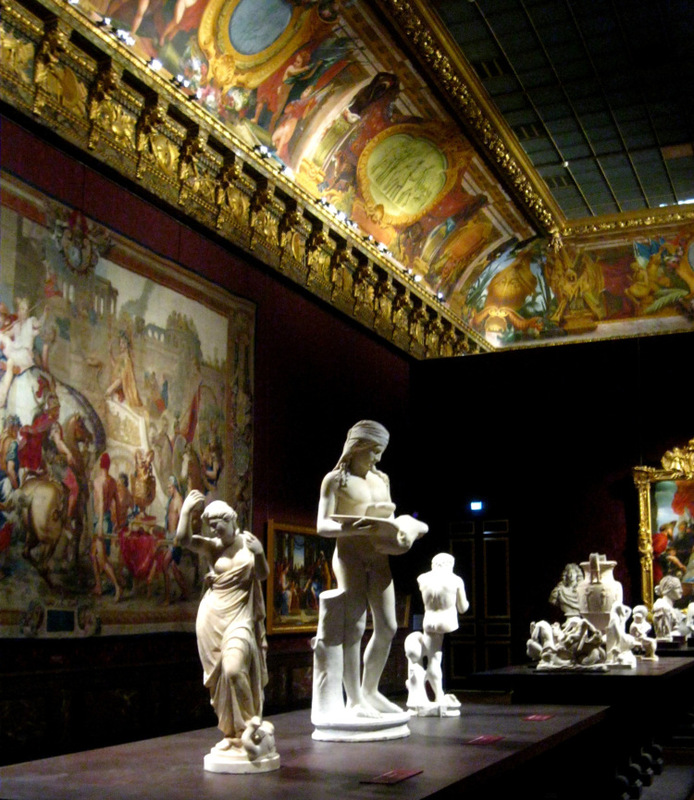 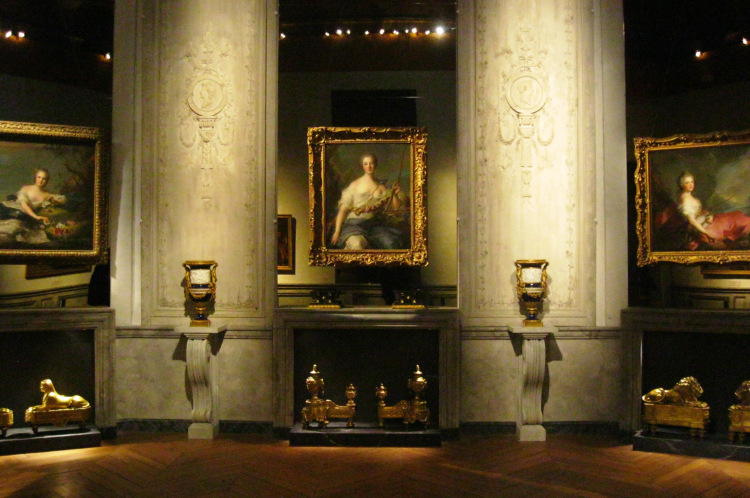 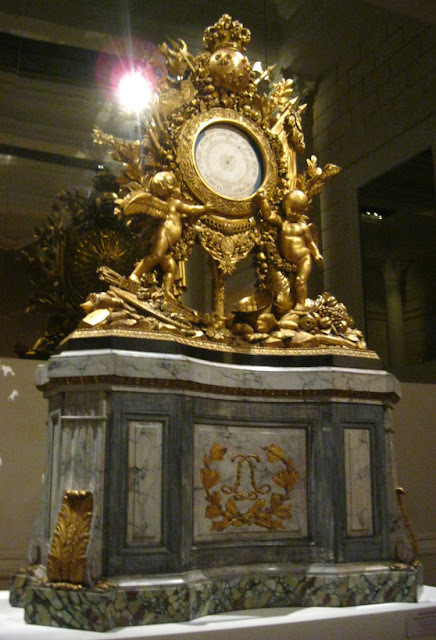 It was then moved to the Louvre during the French Revolution and is back at the Palace for the first time since 1797. 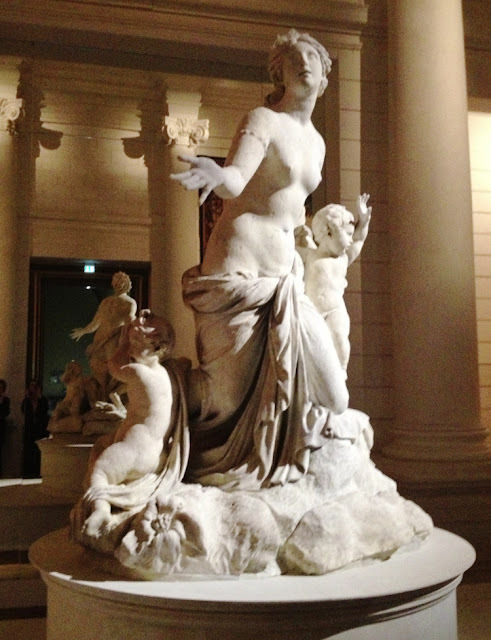 This dramatic sculpture was originally placed at the top of a fountain in the gardens of the Palace. It depicts Latona with her children Diane and Apollo imploring help from their father Jupiter.